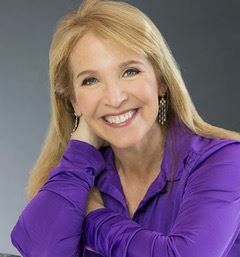 Robyn K. Levin is the founder of Robyn Levin Media, Inc., a strategic marketing & PR consulting firm, created in San Fransico and based in Sarasota, Florida. Levin specializes in celebritizing™ entrepreneurs, travel/tourism companies and CEO’s in helping them attain name recognition and expert status in their industries. Her efforts land clients in the New York Times, Wall Street Journal, Money Magazine, Time Magazine, CBS MarketWatch, Fortune Small Business and more. She guided PENSCO Trust, a financial services client in tripling their assets to $3 billion in less than three years. As a passionate connector of small business owners to big brands, Levin has forged strategic partnerships with Citibank, NHL, Women Sports Foundation, sports celebrities and many others to raise awareness and revenue. A graduate of Temple University & Netherlands School of Business, she guest lectures at Temple University & Wharton's Executive Program for Working Professionals on Marketing Strategy & PR.